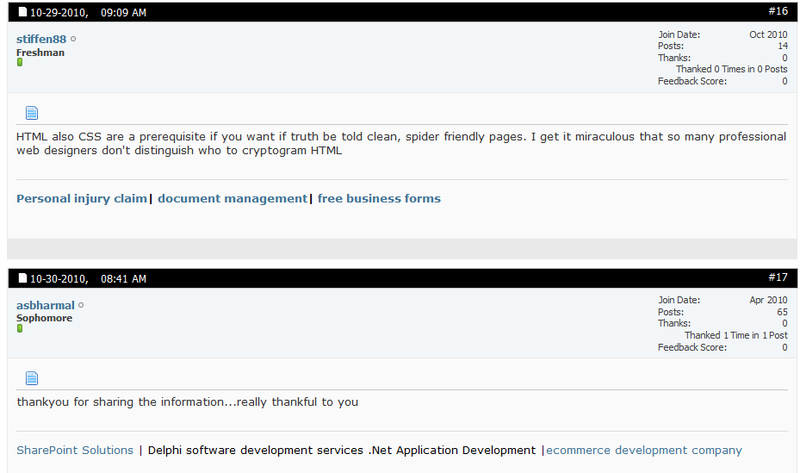 While writing this review i was bit excited because i run a forum myself so forum kind of stuffs excites me everytime. 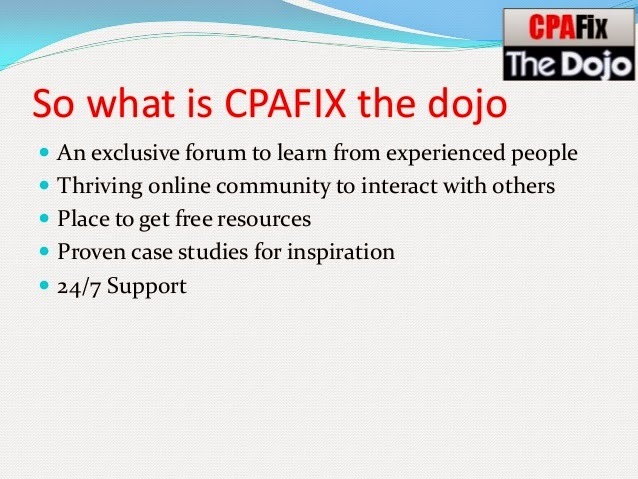 The dojo is premium section of a forum called affilaitefix in this section you will find out vast variety of affilite marketing training videos and webnairs bring shared daily exclusively for dojo members. You might think 147$ is too much for a forum membership but you are getting way beyond benefit with such deal i think they are grateful enough to provide this at such rate. First of all they are charging it for lifetime membership so there are no monthly headaches lifetime access for premium content is itself a big money saver compared to lots of training courses which are charging 150$+ for monthly coaching. The best part about this program is it's forum based if you have every bought some trainning programs most of them contains 10-20 lessons with some videos but have you every imagined if you have any problem in between these courses you can't ask anyone about it this leaves you confused and training program must be in such a way that it doesn't leave you confused. Since the dojo is a forum so you can easily post your question in there so if any problem you have can be answered immidieately either by some experts or some senior dojo members. Some people might argue that there are so many various free forums available so why should pay on dojo first of all in a free forum where anyone can join may provide you with wrong ideas and wrong information as anyone can join those forums and present themselves as an expert you might get some answers from people that doesn't even know what they are taking about here are few screenshots of such stupid replies you get in these free forums. While dojo is not just a forum where you get expert answers to your question but don't forget you will are getting lifetime access to videos and webnairs which are added daily remember expert internet marketers are busy guys they have more important things to handle then wondering off some free forum. Remember nothings comes free if you need quality info you have to pay for premiums and it's fair as they are giving you their precious time. 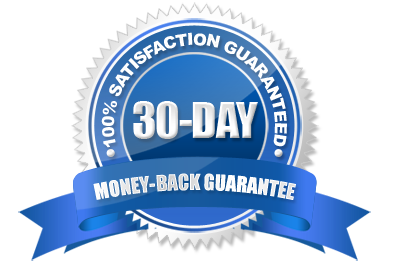 So get started with dojo and get ready to open the door of affiliate marketing.! !